After four years at the helm, I feel it's time to pass the baton over and give the PRB a fresh set of eyes! I look forward to working with Cat and can't wait for the amazing event she'll put on! For those that don't know...The Poppy Rocks Ball was born when I was asked to be a part of the new young professionals branch back in 2011. It was decided there was a need to raise the profile and engage with a younger age group to extend the work of The Royal British Legion. Having lost 2 friends in Afghanistan it was important to me to help do this by giving thanks to those that have paid the ultimate sacrifice and by creating an event that was a celebration of our heroes. In the last four years we've raised nearly £93,000 for The Royal British Legion whilst getting more young people involved with the work they do. Thank you in advance and we look forward to seeing you all on the night! Thank you for visiting The Poppy Rocks Ball website. 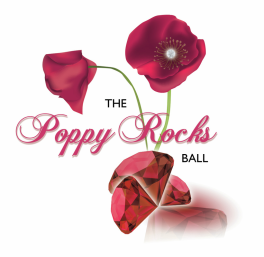 I have been involved with The Poppy Rocks Ball for the last few years and feel very excited to be heading up this year's event. Do contact us if you'd like to be involved! I'm excited to make 2017 another incredible event and I can't wait to work with the committee to bring you another excellent night!